Red, copper, strawberry, oh my! Shades of red can be deep and rich, or they can go soft and understated—but they all seem to come out quickly in the wash. While the picky pigments in reds require a little extra upkeep, these top tips from our color pros will keep reds happy and vibrant between applications. We have a better understanding of ingredients now than we did say, twenty years ago. There’s also been a lot of R & D in the colour sector resulting in new effective, stable ingredients which can deliver permanent, salon grade colour without unnecessary harsh chemicals. Key ingredients to avoid are ammonia and PPD. Ammonia can irritate your eyes and nose with its harsh smell and is otherwise used in industrial cleaning products, so lets do better than that. Leading breast cancer researchers advise reducing or avoiding PPD exposure, so lets take their word for it. The Shade’s colour range has been developed to deliver (literally) low chemical colour which delivers permanent, salon grade colour easily and affordably so women can save themselves time, money and exposure to chemicals. Get ahead of process-worn locks with a moisturizing deep conditioner treatment two days before colouring, and once a week thereafter. It’ll infuse hair with the moisture it needs to minimize breakage and dullness. When you do suds up, give just-conditioned hair a nice cold rinse to seal the cuticle and preserve your color. While some folks disagree on this one, we’re decidedly pro. Added bonus? A spritz under cold water and you’ll feel more alive than ever—promise. 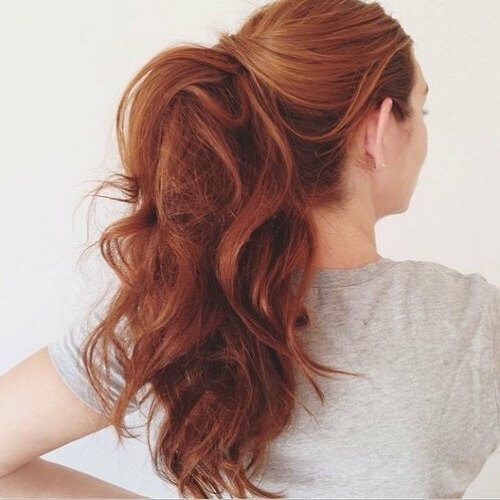 It’s no secret that healthy hair means better color, and this is especially true for reds. Get ahead of process-worn locks with a moisturizing deep conditioner the day before your color application, and once a week thereafter. Applying hair color over previously colored hair can cause over-processing, over-darkening, or uneven results. So keep touch-ups strictly to regrowth, and avoid overlapping. 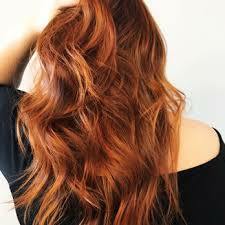 Red pigments may fade faster than brunette or blonde colours. 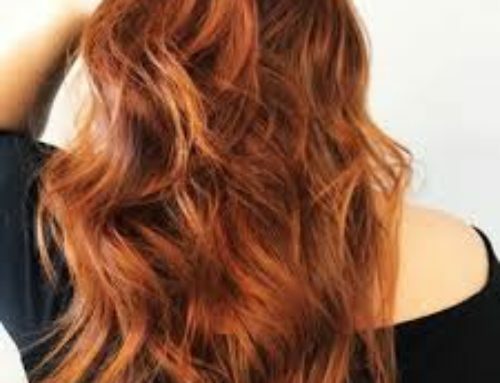 To stay on top of colour-fade, redheads need an all-over colour boost more often than their blonde or brunette counterparts. To maintain a bright, glossy, rich colour result boost your colour by running the colour full length through your previously coloured locks for 10 minutes during your root touch-up application. If you don’t colour often, remember a little bit of colour more often will keep your colour fresh and bright, so a little less colour (or less colour processing time) more often will help you keep that rich red tone you love. Great colour needs healthy hair with great condition to look truly great, We don’t want to see a nice colour on over-processed locks. 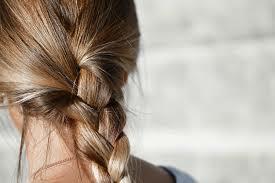 Damaged, split ends can leave strands drab, dull, or looking thinner. Get quick, regular trims to snip off the unwanted damaged ends and retain your healthy hair for gorgeous colour finish. Try to reduce or avoid using heated styling tools as much as possible, Heat applied directly to your hair can make hair more porous, and that means it’s more difficult for the strands to retain colour. Use a heat protecting product before using heated tools to keep your locks safe from colour degrading hot tools. Some people (ok me, used to) wash their hair every day. The colouring process opens the hair follicle to deposit colour pigments, making your hair a little thicker and also prone to a little more dryness. As well as some of the tips mentioned above, which help keep your coloured hair nourished, moisturised and conditioned, it is best to stretch out your hair washes and skip a few wash days. This allows your natural oils to counter-act dryness, keeping your hair looking bright, healthy and reducing the colour-fade the can happen with daily washing. Couldn’t be simpler – some of these tips involve doing less, not more, so we’re not fighting gravity here! Remember great colour these days is about avoiding the over-processed, ‘fried’ look, so you need great condition for your colour to look and feel its best. Hope these handy hints have been helpful and wishing you many great hair days!